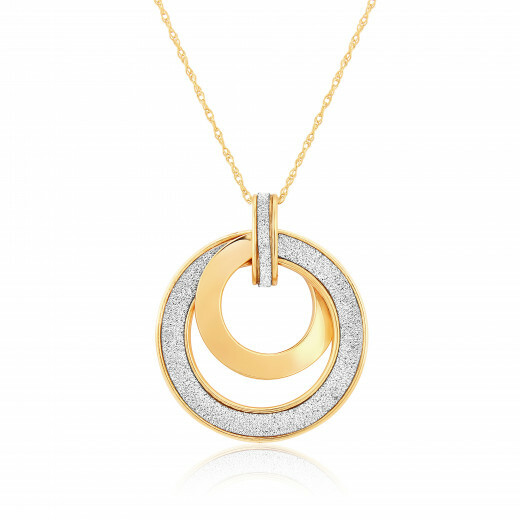 Another new addition to our bestselling Glitter Collection, this Pendant has two open circles of Yellow Gold - one with a plain polished finish, the other with a sparkly Glitter detail. The smaller, plain inner circle begins at the front of the larger circle and ends at the back giving an interesting design twist to the Necklace. A little shine and a little sparkle, this is fast becoming one the new favourites in this range. The Pendant hangs on a fine yellow Gold chain.